The first thing anyone learns in safety training and OSHA classes is that construction sites are dangerous. Staying safe starts with you and your efforts. At The Safety Group, we offer safety consulting and training classes. We share our site safety tips for cleaning things up to keep the site as safe as possible. A thorough cleaning and organization of your site can keep dangers at a minimum. No, we don’t mean spending time prettying up your site. When we’re discussing spring cleaning for your construction site, we’re talking about getting rid of construction site dangers so that everyone is safer. There are many common jobsite dangers that can be avoided if you take the time to clean up properly each day. This includes tripping hazards and falling hazards that can be easily put away before an injury happens. When you’re ready to start cleaning up your site, think with danger in mind. Take a look around and consider the worst-case scenarios. Can someone trip over that cord that’s not taped down? Does that saw need to be left out? One of the biggest things you’ll do when you’re spring cleaning your construction site is putting things away. It might feel tedious but getting everything in its place will make your site much safer. When you do get your materials to the storage location, make sure you’re packing things properly. Heavier items and boxes should always go on the bottom of stacks, and storage areas should be clearly marked to prevent any falling hazards. 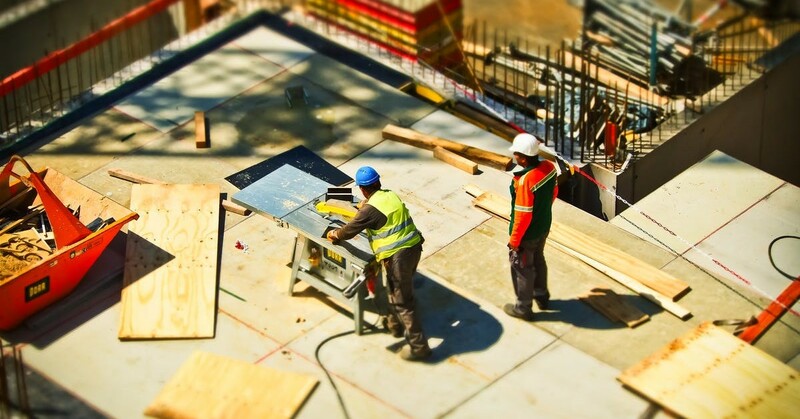 At The Safety Group, we offer construction site safety classes along with expert safety consulting services. For more guidance on improving your site safety, contact our team.